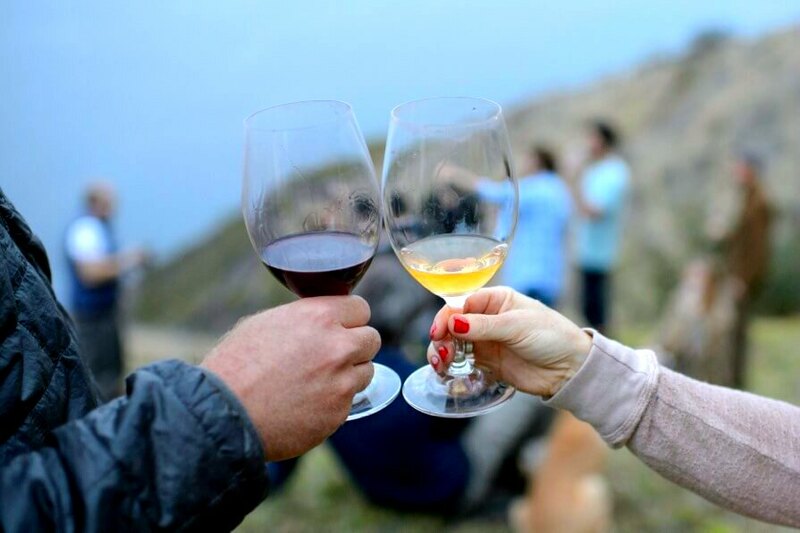 “If food is the body of good living, wine is its soul.” If you’re one to live the good life, there is no better place to do so than at the Big Sur Food & Wine Festival, happening November 3-5, 2016. If you are an October fest aficionado like we are here at Old Monterey Inn, you’ll be thrilled that the annual Monterey Oktoberfest is coming up on September 13th and 14th at the Monterey County Fairgrounds. As always, this traditional German party is a beer-aplenty, fun-loving, outdoor celebration of fall, good friends, good brews, and good times; starting with the Opening Parade led by Ms. Oktoberfest and the St. Pauli Girls. This year’s Monterey Bay Oktoberfest has many new fun-filled activities like the Beer Stein Holding Contest, Dachshund Races, Porsche Vintage Car Displays, Sport’s bar with TV and a Jr. Ms. Oktoberfest Contest. For the kids, a Petting Zoo and bounce houses. As you browse through the fairgrounds to enjoy select arts and crafts vendors and a great big stein of Munich Oktoberfest brew, be sure to stop and sample the delicious mouth-watering Oktoberfest food: Bratwurst, Calamari, Bavarian-style Turkey Legs, German Pretzels, Apple Strudel and more. Here’s another wonderful combination: attend Monterey Bay Oktoberfest while staying at the Old Monterey Inn! 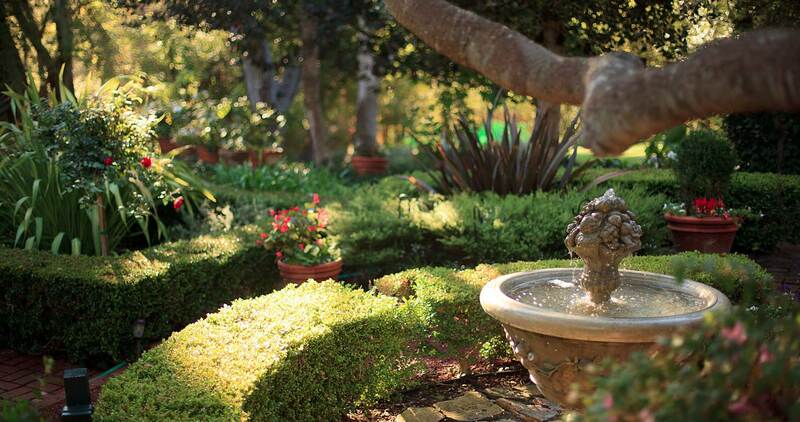 Oktoberfest’s festive garden party and the Old Monterey Inn’s serene and breathtaking gardens will provide you with ample opportunity to enjoy a taste of cultural diversity and provide you with a relaxing haven a few miles away from the excitement of Oktoberfest. 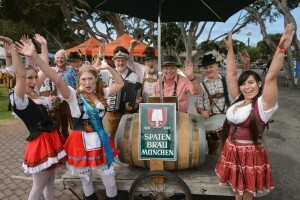 Advance Oktoberfest tickets are available online at www.oktoberfestmontereybay.com. Old Monterey Inn information and reservations can be found at www.oldmontereyinn.com. We are excited to welcome you to the Monterey Peninsula as you join the Oktoberfest festivities and indulge in the relaxation, luxury, and elegance of the Old Monterey Inn. You can’t do much better than whale watching in Monterey – it’s one of the finest places in the world to go on a whale watching trip—we are one of the only places in the world where you can see whales year-round, and where whales swim so close to the shore. The Monterey Submarine Canyon is as immense as the Grand Canyon and is located not even a mile off shore. This allows whales to feed in deep water close to shore, much to the delight of eager whale watchers! From April through December, whale watchers will see killer whales, fin whales, minke whales, humpbacks, and the mighty blue whales—these are known as the summer whales. If you go whale watching in the winter months (December through April), you’ll see California Gray Whales and dolphins as they travel from the Bering and Chuckchi seas to Baja California, Mexico. Fisherman’s Wharf is a 15 minute walk from our Monterey Inn, and you can choose from any number of whale watching companies—we’re happy to make reservations for you, as well! Many of the whale watching trips leave around 9:00, so you’ll have to be down on the wharf at about 8:30. You might be thinking, “Oh, no! I’ll miss the delicious breakfast at the Inn!” Rest assured, though, we would NEVER let you leave empty-handed and hungry. Let us know the night before that you’re out on the town early the following morning, and we’ll prepare a muffin basket for you—muffins, fruit, trail mix, and biscotti to keep you going strong until lunch! After a few hours on a whale watching boat, you’ll be windswept and perhaps a little tired—though delighted, we’re sure. Come back to our Monterey bed and breakfast for a soak in your own two-person Jacuzzi tub or book a massage at our on-site spa. Relax and rejuvenate before wine and hors d’oeuvres from 4-6, and then take a quick catnap before dinner out on the town. 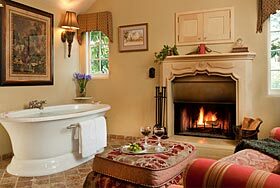 Stay with us at the Old Monterey Inn, and you’ll combine adventure and luxury, whale watching and tub-soaking! 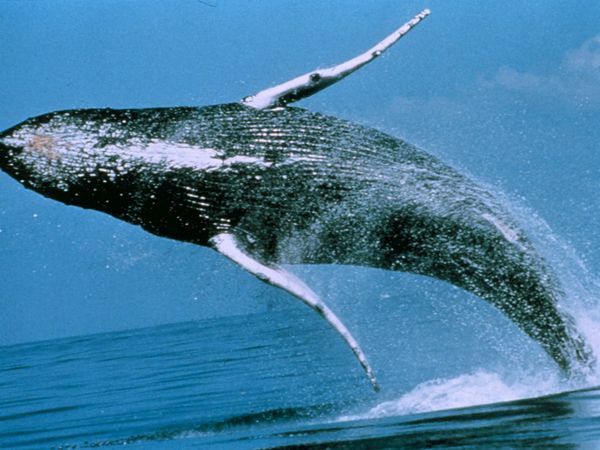 Experience the magic of whale watching. Relax after your whale watching adventure in a beautiful room. Searching for something really great to do on New Year’s Eve? You might want to consider Monterey’s First Night Celebration. It starts at 3 p.m. on December 31 and goes to midnight. There are 25 venues, most indoors, with a theme of Imagine Create Participate. This is the 18th year that Monterey has offered a celebration where art, music, lights sounds and community unite to create a new year. There will be long-time favorite entertainers like the Black Irish Band, I Cantori, Grumbling Ginger and the resolution sculpture – a life size board game – the Game of Life. First Night transforms the streetscapes, parks, buildings, theatres, churches, and concert halls throughout Historic Monterey into a fun and unique celebration site. Check out www.firstnightmonterey.org for the schedule of performers. I know I’ll be there watching the Twilight Procession at 5:30 and taking advantage of all the entertainment and other venues that can be had for only $25 (now that’s a deal!). And I’ll be ringing in the New Year at the Grande Finale! The 60th Pebble Beach Concours d’Elegance, locally known as ‘car week’, will soon be upon us. An event that is so popular folks book their lodging as much as a year in advance. First conducted in 1950, the Concours d’Elegance is often said to be the world’s premier celebration of the automobile. The Concours d’Elegance is quite literally an automotive contest of elegance. And, as Ansel Adams said, “From a strictly personal point of view, my definition of an elegant car would be ‘the kind of car I would like to be buried in’”. One of the truly fun events is at the Laguna Seca Raceway, the Rolex Monterey Motorsport Reunion (formerly known as the Monterey Historics) is a celebration of motorsports history that reunites authentic race cars with a world-class track. You’ll see pre-war Bugattis, Alfa Romeos, and Talbot-Lagos to the more powerful Ferraris, Corvettes, Cobras and Porsches. This year, for the first time, there will be a Pre-Reunion, a relaxed weekend for the competitors to prepare for their races. The drivers get valuable tract time to shake down their historic cars, test tires, and have fun with their fellow competitors. Fans who want to come to the Pre-Reunion and avoid the hubbub of ‘car week’ can participate in this event on August 7 & 8 for a ticket price of $50 per day. Tickets will only be available for purchase at the gate and include parking. It’s a chance to see those wonderful old cars up close and personal without fighting crowds. Cherries Jubilee on September 8-12, 2010 – Dubbed the biggest oldies party of the year, the 18th Cherry’s Jubilee is a motorsport festival that takes place in many areas of the Monterey Peninsula as well as at the Laguna Seca Raceway. There’s dancing, eating, wine to be enjoyed but most of all there are those wonderful cars (classics, special interest, muscle cars, something for everyone!). Our romantic bed and breakfast, the Old Monterey Inn, is perfectly located for all these events. While you’re at it, scroll down and read our earlier blog on experiencing car racing with Skip Barber’s Racing School. If you’ve a need for speed, that is the place to test yourself! I admit it, I’m a wino. There is just no getting around the fact that I love my wine. I truly appreciate wine and, yes, on occasion I’ve been known to overdo just a bit. Monterey County has some excellent wineries and while you are visiting the Monterey Peninsula, why not take a wine tour. It can be a case of so many wineries and not enough days, so I’m going to talk about just a few but please go to www.montereywines.org to see the complete list. The following can be visited by driving yourselves, taking the Wine Trolley or we can arrange for a Luxury Limo so you can imbibe to your heart’s content! Staying close to home, Carmel Valley offers some very good examples of Monterey County Wines. We are lucky enough to serve Chateau Julien wines during our Wine Hour here at the Inn. They have a beautiful winery with lovely gardens. I especially like their Rosato which is a lovely Rose’ made with Sangiovese grapes. They make a limited amount and don’t normally offer it at their tasting so be bold and ask to taste it. Scrumptious served at lunch or a brunch! It’s also one of the few wineries close by that offers a tour (Mon thru Friday 10:30 & 2:30—Sat & Sun 12:30 & 2:30). Another really good winery can be found in Carmel Valley Village, Parsonage Village Winery. Each one of their wines is remarkable and don’t miss out on their spiced pecans, irresistible! If you are interested in staying organic, try Heller Estate Winery. They are very knowledgeable about the art of organic viticulture! Ask to try their Toby’s Port, yum. If you favor Pinot Noirs, which like our climate here since it’s nice and cool, go to Talbott or Boekenoogen (great name). And Merlots are pretty darn good at Georis Winery; as is their restaurant The Corkscrew. Georis Winery and the Corkscrew restaurant are owned by the folks that own Casanova’s Restaurant in Carmel (another one of my very favorite romantic spots). Below I’ve listed the 2010 Wine Events & Festivals, we hope you’ll find something irresistible and come to stay at the Old Monterey Inn bed and breakfast. Until then, I toast you all! In anticipation of Valentine’s Day which is right around the corner, I thought I would share with everyone my romantic love story. When I was 17 and at one of those notorious high-school-friend parties, I met the love of my life. He was 19 and oh so tall and handsome! We spent many wonderful years together during which the Draft for Vietnam loomed darkly. Finally, Teddy, decided to enlist in the Navy to try to avoid Vietnam. Off he went to Basic Training and then was stationed on an aircraft carrier for 2 ½ years. He was just about to come home on his first long leave (30 days) after 3 years when his leave was cancelled and he had three days to report to Vallejo, California, for Special Forces training to be on a River Patrol Boat in Vietnam. Of course, we were shattered. I was able to spend time with him during his training but always the dark shadow of Vietnam loomed. We were engaged to be married and so afraid of what the next year would bring. As it turned out, Teddy survived the long, frightening year in Vietnam but our relationship did not. Due to family and other outside influences, we didn’t get married. I have to tell you, though, that I loved him all my life. I thought of him every day over the last 40 years and when I was at my darkest, I would sit down and write him a letter pouring my heart out (of course, I never mailed the letters). We both married others and lived our lives as best we could. Two years ago, after I had been divorced for several years and I knew that Teddy was also divorced, I sent him a birthday card. It took a while but he finally contacted me. At first, we just talked for hours on the telephone and made plans to get together. As time went by we realized just how much we really did belong together but here I was in California and Teddy was in Florida. Hence the 5, 6, 7 hour daily phone calls for four long months. So, we started to plan a trip driving from Florida to California. It would take 2 ½ weeks and we would go through Alabama, Louisanna, Texas, New Mexico & Colorado. I can tell you that it was magical. By the end of the trip we knew that we should have never been apart and that we wanted to spend the rest of our lives together! Today, Teddy and I are partners at the Old Monterey Inn and we both glow with happiness. On November 2, 2009, we had dinner at Fandango to celebrate what would have been our 40th wedding anniversary. We can testify that storybook romances do happen and people can feel an overwhelming love and connection. 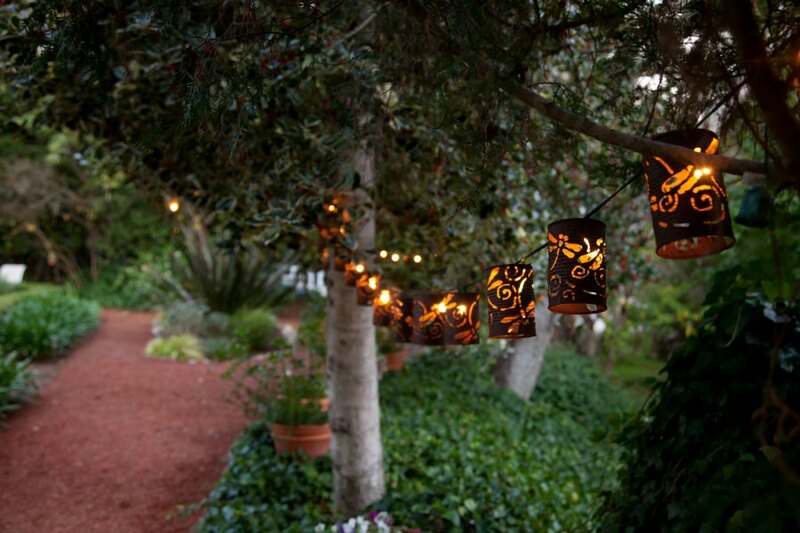 Romance is definitely always in the air at the Old Monterey Inn! Sometimes you just want to be outside and one with nature. I can testify to the serenity and an abundance of wildlife you’ll find. Whether you go early in the morning, at sunset or by moonlight, whether you kayak or hike, Elkhorn (pronounced slew) is an outdoor adventure. You can watch sea otters, sea lions, seals, brown pelicans, American avocets, cormorants, egrets, terns, falcons and more in this tidal slough and estuary on the Monterey Bay. The Elkhorn Slough harbors the largest tract of tidal salt marsh in California outside of the San Francisco Bay and provides a habitat for hundreds of species of plants and animals, including more than 340 species of birds (go to www.elkhornslough.org/birdlistTOC.htm for a complete list of birds) and is one of the premier birdwatching sites in the Western United States. Elkhorn Slough is a great place to kayak for the beginner or the experienced. It will give you the opportunity to get a closer look at harbor seals while they’re napping along the mudflats and the sea otters while they float and play right along side your kayak. You can rent kayaks from www.montereybaykayaks.com or www.kayakconnection.com. Both companies have an extensive list of tours guided by naturalists. Just another one of Nature’s extravaganzas offered by the Monterey area! What man doesn’t love automobiles! When they watch the Grand Prix car races or the Daytona 500 they dream of that experience of speed. Now you can make his dream come true. John ‘Skip’ Barber, a Formula One race car driver, started the “Skip Barber School of High Performance Racing’ in 1976. One of those schools is located in romantic Monterey at the Laguna Seca Speedway. Your man can spend his day learning how to be a race car driver while you luxuriate at the Old Monterey Inn with some of the best Monterey spa treatments. Then you’ll come together for an evening of romance at one of the top restaurants in Monterey. Maybe you’d like to combine experiences the next day and do some Monterey Bay kayaking and see the harbor seals and sea otters up close. I’m thinking a Gift Certificate for the racing school combined with a Gift Certificate for lodging at the Old Monterey Inn would just about top any father, husband or son’s list for the ideal gift. Give us a call and we’ll help you make his dreams come true.